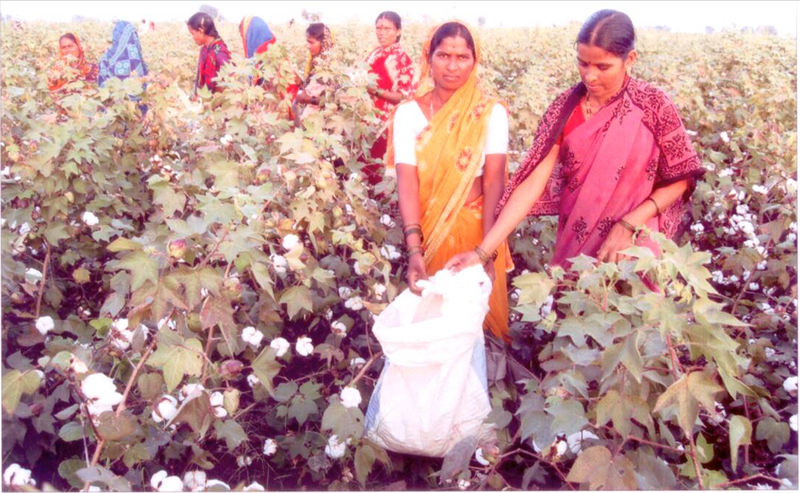 There are very good reasons over 90 percent of all cotton grown in India today is Bt . Sorry for the messed up comments Aneela, just delete them. I guess if BT cotton is helping it can’t be all bad…. Ha ha that was great Sandra! I will delete it if you like. BT cotton story that has reached us from Andhra is not good. Its not even about the yield or success, it is about the western nations holding India to ransom, for instance for seeds in this case. ‘Karuvelam tree’ in India was also reportedly planted clandestinely by some ‘vested’ interests that the locals took to, because they yielded the easy firewood that solved their everyday problems given the country’s poverty levels. Now that this fact has been established beyond doubts, they are being destroyed in my state. http://www.thehindu.com/todays-paper/tp-national/tp-tamilnadu/pilot-project-to-root-out-karuvelam-trees-in-ramnad/article5353521.ece These trees have depleted the water table in the state to alarming levels. Same will be the effect of GM foods and crops in India in future. Moreover a GM tomato for instance can come with a gene from a pig who knows and what are its long term effects in humans. We have more autistic kids in India than ever before..The question is whether we in India need GM seeds or food in the first place. If BT cotton is good with short term yields, so were the many fertilizers and pesticides marketed by the west and we now know what has happened with Punjab and Kerala that had used these farming methods for decades. One hopes PM Modi will act tough and root out completely the GM crops from India just the way he has acted tough at WTO recently taking on the west single-handed, securing our national interests and assuring us of our food security. 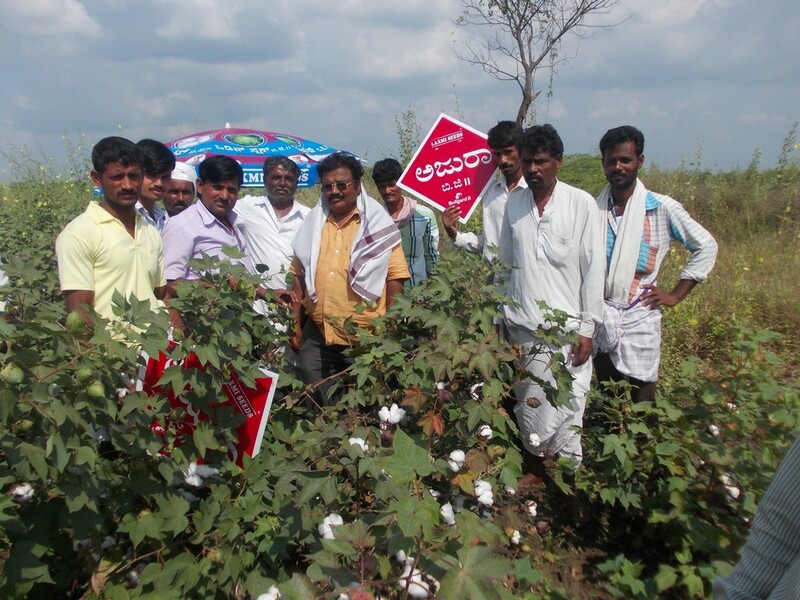 Not only BT Cotton, please also check out how Amway has exploited rural India to shaming levels. There are no GM Tomatoes on the market and there hasn’t been for over a decade. The only one that was ever commercially available Flavr Savr used an additional gene from a tomato to delay ripening. Hai Ravichandran, Thanks for comment,some one writing Against Bt cotton..it seems those are not farmers (If farmers,but not cultivating Bt cotton) no practical knowledge..how can they justify..Bt good or bad.i am requesting..please start cultivate Bt cotton first. Thanks Mr. Kulkarni, first of all I am Ravindran and not Ravichandran. I may not be a farmer but as the citizen of India, I am an interested party who has been watching and learning from media for over last 10 years what Bt cotton has done to farmers in Andhra Pradesh and Maharashtra, pushing thousands to suicides and there is no need for them to lie.Even if BT cotton is not harmful, we DON’T WANT IT TO INDIA – we view it as nothing more than biological warfare by the west initiated against our nation. A day might dawn when our farmers and the Indian govt could be held to ransom by exporting farmers/foreign governments. We can do without Bt cotton just the way we can do without pizza and coke and pepsi in India, thank you. Some vested interests could be looking at short term gains, but as an honest and patriotic citizen of India, I want nothing but the best for my country. The government of Maharashtra, a state in western India, has acknowledged for the first time that Bt cotton is a failure that will likely reduce yields by 40%, from 3.5 to 2.2 million quintal. The region’s cotton farmers will face about Rs6,000 crore, over 1 billion USD. Accumulated losses are to be even more staggering: Rs 20,000 crore, or about 3.6 billion USD, due to rising cultivation costs. Faced with unbearable debt and health problems, the National Crime Records Bureau predicts that 5,000 farmers will have committed suicide by the end of the year, compared to last year’s 3,500. As a farmer growing cotton for about 30 years and Bt Cotton since 2003 -2004, I have the first hand experience on the economic loss of non Bt Variety Cotton and non Bt Hybrid Cotton. Ever since I started growing Bt Cotton , my pesticide bill came down drastically. Though Bt Cotton is meant to address the problem of boll worm alone,from my experience I would say Bt Cotton yield is much higher than it’s non Bt Counterpart, as the boll retention rate is much higher in Bt Cotton. I fully endorse the views expressed by my Karnataka farmer friend. As a farmer who is interested to increase the productivity I feel we must adopt all scientifically proven technologies. Though GM Crop is not the only solution to solve all the problems ,we the farmers face, AS A FARMER, I EMPHATICALLY SAY THAT IT IS CERTAINLY ONE OF THE IMPORTANT TECHNOLOGIES THAT WE CAN NOT AFFORD TO IGNORE. Should you need more clarification from my end I am too willing to provide. I invite you to our village,interact with any of the farmer friends and see for your self the truth. Dear Ravindran,I know you are not Ravichandran,You are not a farmer! !,you don’t know,what farmers facing problem in agriculture,he ( I ) need more yield and and money,my father and forefather was also cultivating cotton ( local variety)but taht time we didn;t get yoeld and profit.and also we faced lot of pest problem.now in Bt cotton,we are safe,because it is bollworm resistant.and the person who oppose Bt,please ask him advise very good seed, and also we are nor depends Bt cotton,we grow chick pea,red gram,wheat,chilly,onion,jowar also.althogh,we get more yield in cotton. in this year i got 15quintal per acre. rate for one quintal @5000/-.total amount for 1 acre=@75000/- expense @27000/- ( expense may less or more depends upon farmers conditions and working style ) net profit for 1 acre @48000/-. in red gram yield per acre 5quintal x rate for redgram 4650/-per quital .,total amt 23250/- and expense around @7000/-. profit 16520/-. please think farmers economic condition,sir, where can go ?more yield only one way to me.i know what is your feelings..tell me alternative way?…how to come out from my poverty?…think i too citizen of India. It seems that the most consistent arguments against GMO’s are just the same FUD and emotional pleadings. Maybe there will be some negative side effects in the future, but so what? Skotch, please explain to me what FUD is. are you saying that bt cotton causes autism? really? you mean something like vaccination? as far as I know, when we cook food, the genetic material is totally destroyed. even if it isn’t, that doesn’t mean it gets inserted in our genome automatically. if that be the case, we ingest zillions of living micro organisms daily in our food. who knows what might be happening. genes are exchanged between various organisms on a regular basis even in nature. if you don’t want pesticides and herbicides, are you willing to pay higher prices for your agri produce? I’m not sure why you think I’m saying that bt cotton causes autism? I’m not saying that at all.